If you have never heard of FOWD, well let me tell you. 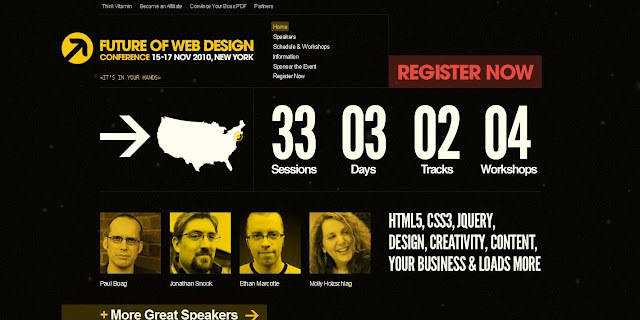 It is an amazing conference held in NY which exhibits some of the biggest names in web design. It is a two day event and it costs a LOT of money to go. Although - if anyone is interested there is a promotion on Abduzeedo that is giving away free tickets. I'll definitely apply and hope others do too. They will be covering some new material about the new interfaces of the web as well as CSS3 and HTML5. Sounds awesome right?